don't use it before #592000, you will get banned for invalid share. It's 15 minutes on my pool. Maybe something else was wrong. Usually it's a bad address passed to -u. You don't get banned at first bad share by the way. It can happen normally for overheating GPUs. But I regularly see bursts of bad shares in the log and it's hard to say if it's a transient problem or some jerk trying to cheat their way into more aeon. Received a nice 19000 donation from someone. Thank you! Do not mine at Minergate until they update their pool, otherwise you will be mining on an invalid chain. Only mine on pools that you know will support the fork. Or solo mine with the latest AEON release. but lucasjones-cpuminer need "-a cryptonight-lite" ! One simple question: my coins on Bittrex will be safe during next upgrade or I must send them to my desktop wallet now?? Bittrex is fine they are fully upgraded. I downloaded the non_AES-NI Lucas Jones miner and see you included the batch file. I checked it out and inadvertently started the miner. How long am I banned for? Also what is "pause" at the end of the batch file? you aren't banned instantly, you can sent some invalid shares to test during several seconds easily. a ban is 10 minutes. I just disabled banning on my pool, and will reenable it some time after the fork. This should let people switch a bit before or after without issues caused by temporary bad hashes. Additionally, the difficulty will go up, so the pool settings will have to adapt too as it does (mostly starting diff I guess). 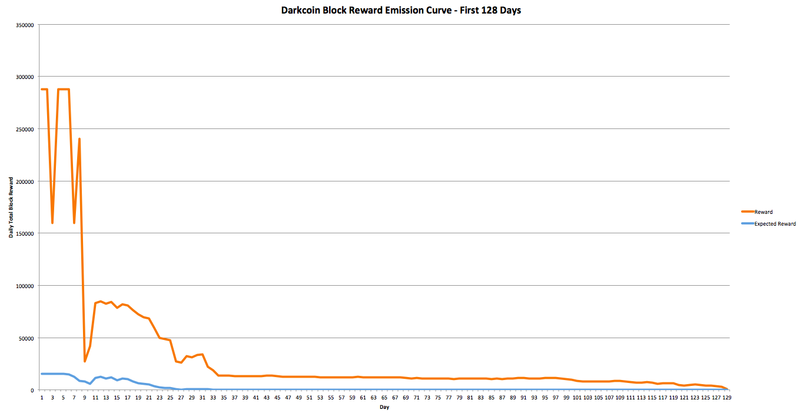 Yes the difficulty on the coin will instantly go up by a factor of 8 IIRC. I have no idea how long the pool software will take to adapt to that. http://52.8.47.33:8080 switched on on POW algo. Everything is working properly. There are a significant number of nodes that are not updated and get repeatedly dropped, which generates logs messages in aeond.log. Take care that this file does not grow too large and fill up your disk. Since these are error messages, there is currently no log-level setting to turn them off. If the number of bad nodes doesn't decrease soon I will put out a patch to suppress these messages. my pool seems not OK for now. Are the people running the bad nodes also seeing error messages? If they aren't reading this thread, do they know that the hard fork occurred? Yes they will get big red error messages. Reminder that if you are either CPU or GPU mining with the new algorithm you will probably want to retune the settings to maximize your performance. The new algorithm uses 1 MB per thread instead of 2 MB so if your CPU has 3 MB of cache (a common number for mainstream i5 CPUs) you can switch from 1 thread to 3 threads! Of course hardware and performance varies, so try your own and see.